We know the importance of the barrel. That’s why we’ve partnered with the same cooperages for generations to create Bourbon of the highest quality and consistency. Whiskey’s transformation from white dog to smooth spirit is nothing short of miraculous. 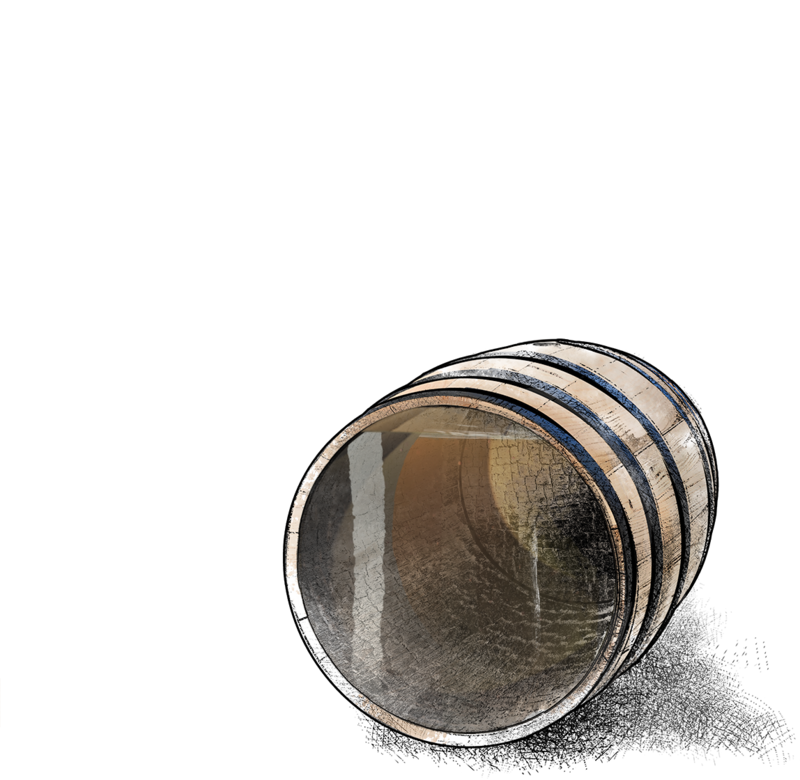 The raw distillate acquires flavor, color, character and aroma after years inside of a charred white oak barrel. In a world of bountiful resources, millennia of evolution, and centuries of technological advancements, the mighty oak tree reigns supreme as “king of the barrels.” Its unique grain and chemical makeup provide for liquid-tight lumber that gets stronger as it’s curved into barrel shape. 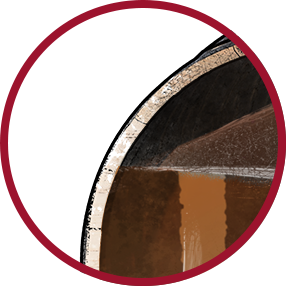 What’s more, its distinct sugars, waxes, fats, and oils impart a complex combination of flavors that are unique to Bourbon. 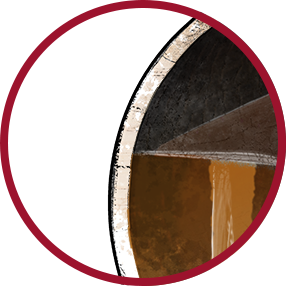 Distillers char the inside of their barrels at varying levels, ranging from Level 1 (15 seconds) to Level 7 (3.5 minutes) and beyond. 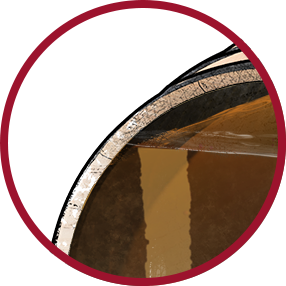 We char at Level 3 (40 seconds), which leaves a ¼-inch-deep layer of char inside the barrel. This process caramelizes the oak’s sugars and creates a dense layer of smoky sweetness waiting to be dissolved. 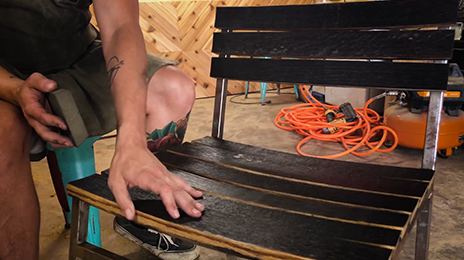 By breaking open the wood’s cell walls through charring, the spirit gains access to flavor compounds such as caramelized wood sugars, vanillin, and spice. Lighter char levels tend to produce more fruit esters and spice notes, while heavier char levels release desirable oak flavors into the spirit more quickly. 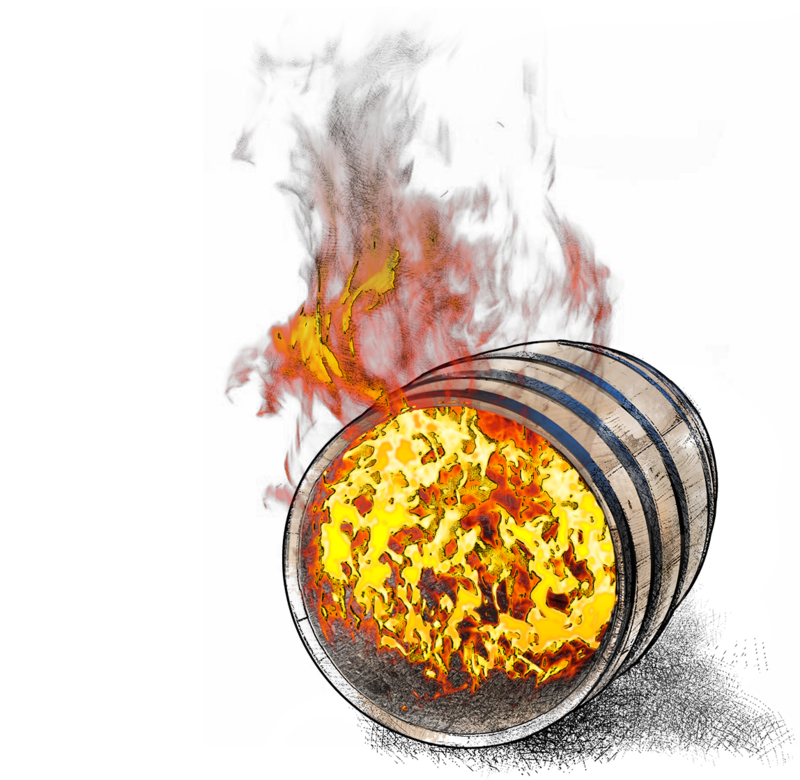 Charred wood filters the spirit by trapping undesirable aromas within it, and creates chemical components that turn clear distillate brown as it matures. This is where the science and magic really ramps up. When the distillate is added, the liquid penetrates the charred layer to access the newly caramelized layer, and the char filters the liquid. We barrel our whiskey at 125 proof (62.5% alcohol). The water dissolves the oak’s sugars and the alcohol extracts compounds that add depth, complexity, and character. Good Bourbon comes to those who wait. As temperature fluctuations cause the oak to expand and contract, the liquid seeps beyond the char and caramel layers to interact further with the oak, extracting deep notes of spice and wood. Liquid evaporates, oxygen enters, and chemical reactions create even more flavors and aromas. On average we lose 6% the first year because of soakage then 3% every year after that. Water dissolves wood sugars that contain the sweeter vanilla and caramel notes. Alcohol extracts tannins that give the spirit complexity, depth, and a drying sensation on the palate. 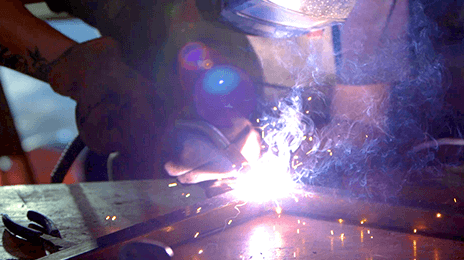 Liquid evaporation allows oxygen to enter, causing many chemical reactions, like esterification. Esters are chemical compounds within whiskey that produce fruity aromas and sweet flavors. Sometimes a whiskey’s flavor is less than desirable due to too many years in the barrel, or because of excessive evaporation (a.k.a. the “angels’ share”) under prolonged heat exposure. After we tailor every step of the process, obsess over every specification, and determine the ideal aging period, there are a multitude of uncontrollable factors that can affect our Bourbon. 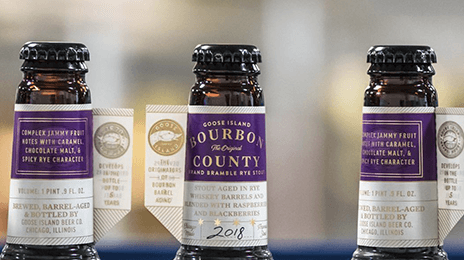 Everything from the year’s average temperature to the barrel’s rickhouse position will impact the liquid inside, and no two barrels ever age the same. Temperature fluctuations allow the liquid to seep in and out of the oak and extract flavors and aromas. The greater the heat and temperature fluctuation between seasons, the faster the whiskey ages. For example, just a few years of maturation during Kentucky’s wildly fluctuating seasons can equal several years of maturation during Scotland’s mildly fluctuating seasons. 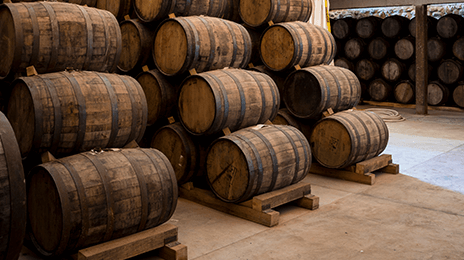 In our non-temperature-controlled rickhouses, location greatly affects how the barrels will mature. 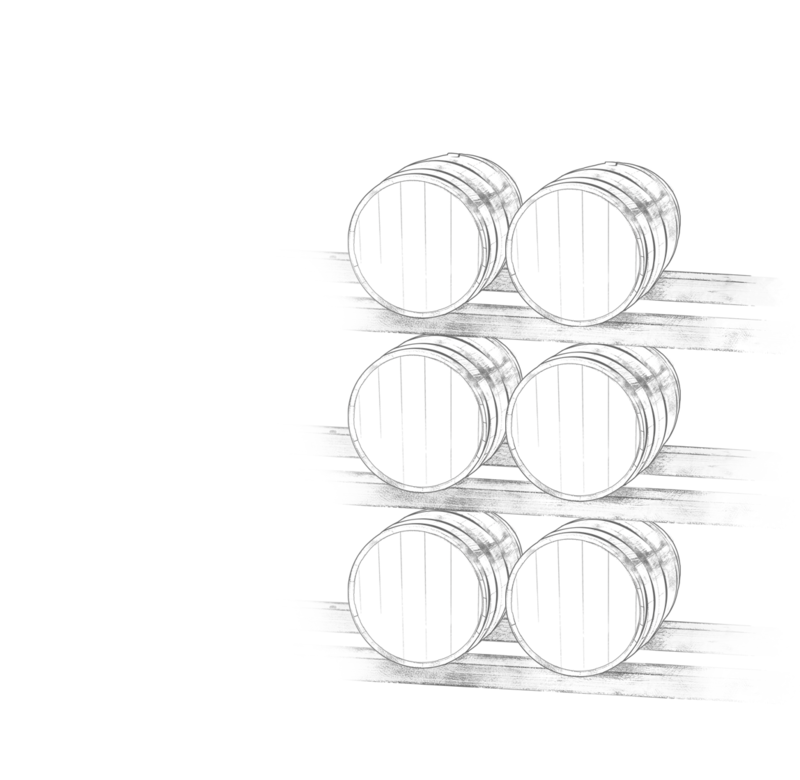 Barrels exposed to direct sunlight will be hotter and drier than barrels stored in shade. 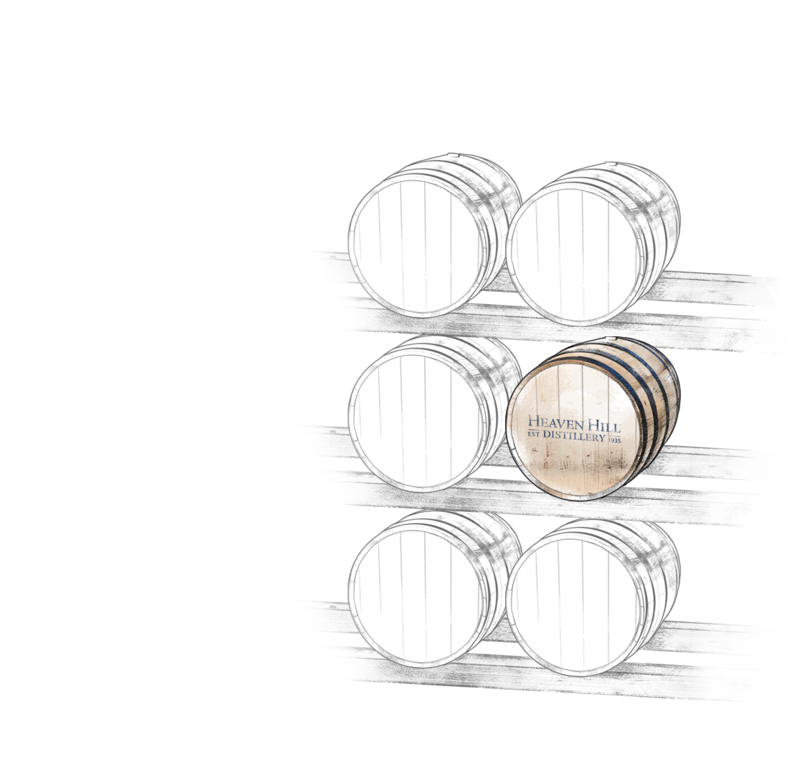 Barrels stored on hotter, drier upper floors of warehouses evaporate more water, which causes the proof of the whiskey inside the barrel to rise markedly. Barrels on cooler, more humid lower floors will evaporate more alcohol, causing proof to decrease. 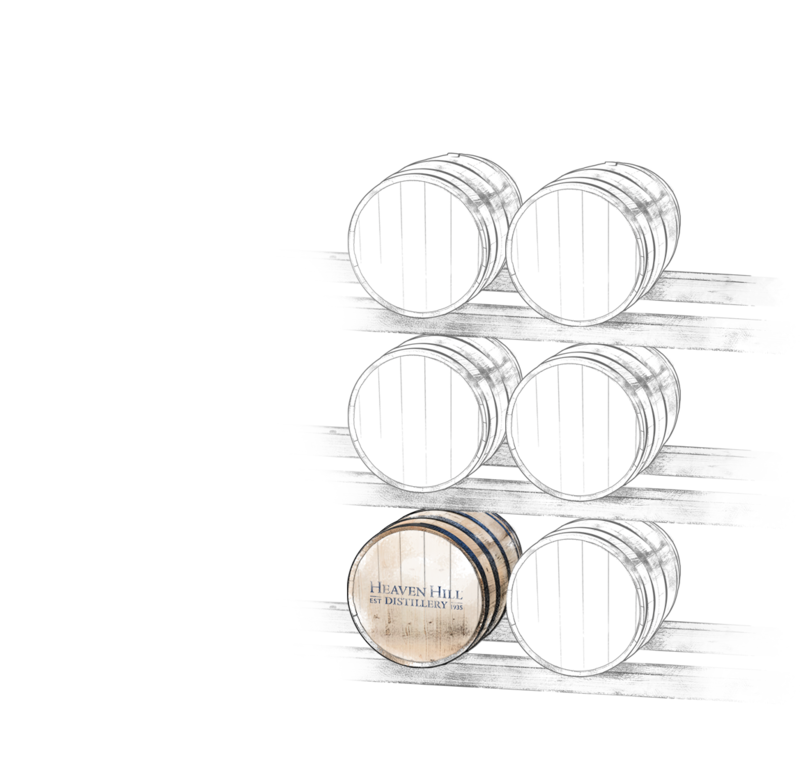 It’s not unusual to find upper-floor barrels with proofs of 150, and lower-floor barrels with proofs in the low-90s! 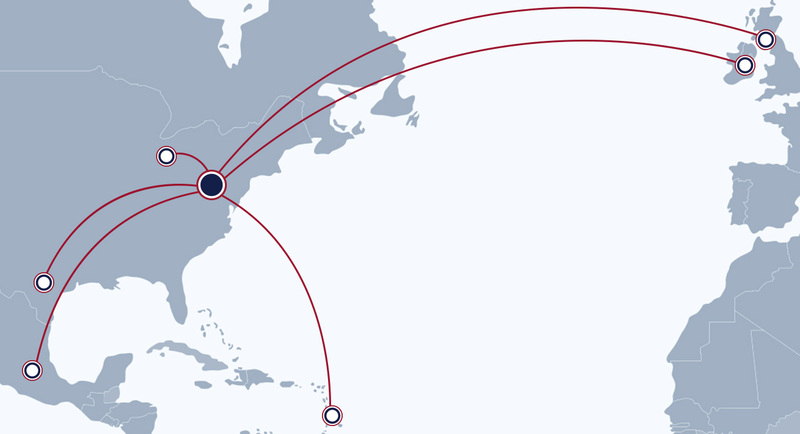 barrels after we use them and they travel around the globe. Click an item below to explore. Heaven Hill Distillery is one of largest producers of corn whiskey in the country. Our Mellow Corn whiskey is aged in our own used, charred oak barrels to impart flavor and a smooth taste profile. Producers throughout the West Indies create premium aged rum by resting their sugarcane-based spirits in our whiskey barrels. Once inside, the charred oak adds flavor and color to the rum. 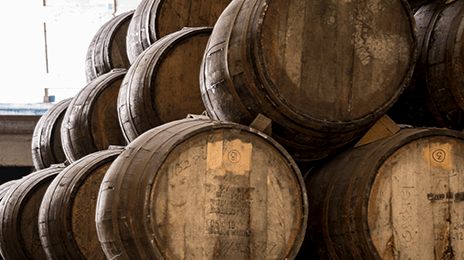 Unlike Bourbon, Scotch whisky does not need to be aged in new barrels. 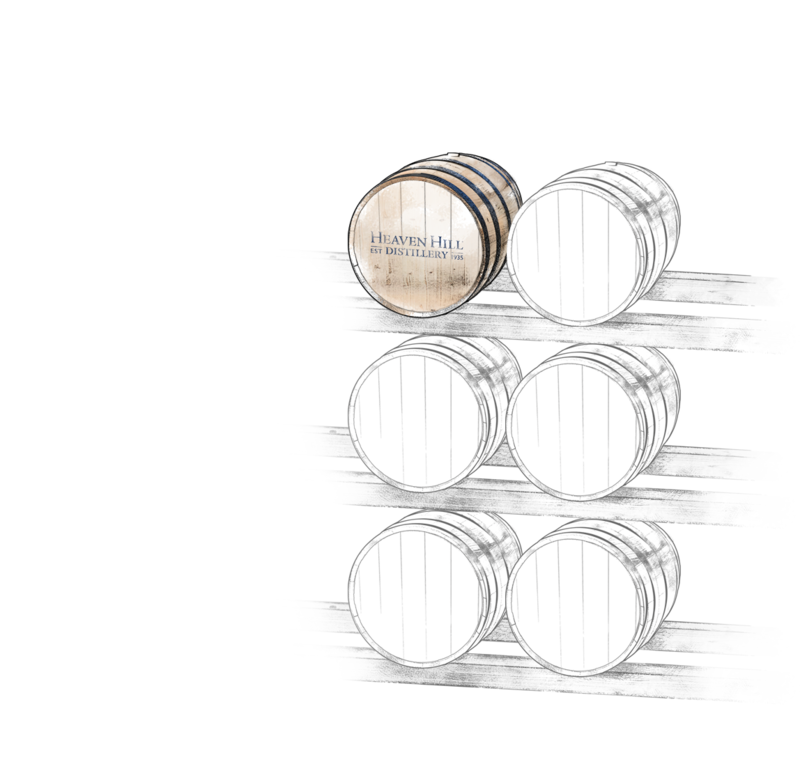 So, a great number of our barrels find a second life helping blended Scotch and Single Malts achieve their full potential. 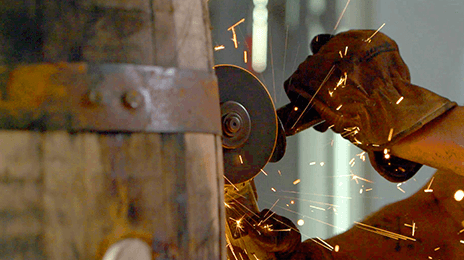 Typically, our barrels are broken down from their original 53-gallon size into "shooks," where they can be resized based on other distillery specifications. A myriad of craft breweries use our barrels to age bold beers that are complemented by the rich Bourbon flavor emanating from the wood. 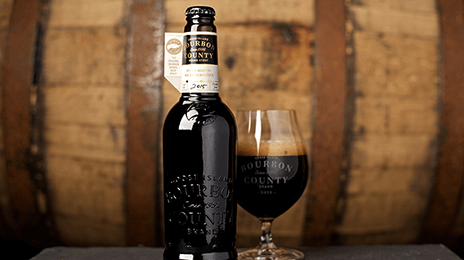 For example, Goose Island uses our barrels for their highly sought-after "Bourbon County Brand Stout" series. 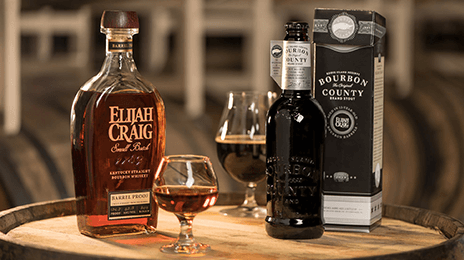 In 2018, their Bourbon County Stout Reserve was aged in the barrels of Whisky Advocate's 2017 "Whisky of the Year, Elijah Craig Barrel Proof. 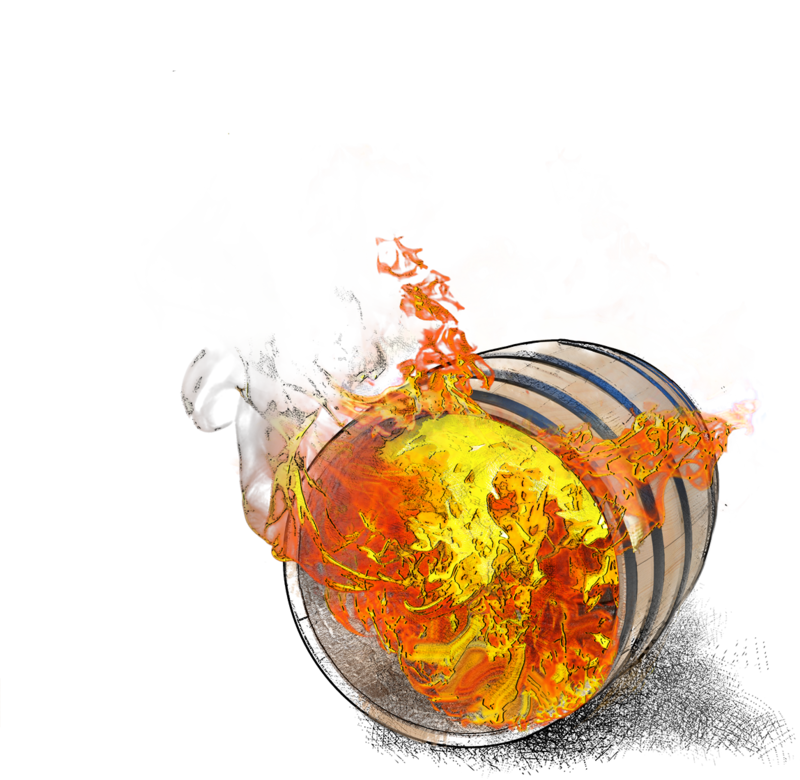 Like Scotch, Irish Whiskey does not need to be aged in new barrels and also provides a second or third life for our barrels. In general, Irish Whiskeys are typically made from unmalted barley and other grains whereas Scotch Whisky is made from malted barley and other malted grains. We regularly send our freshly emptied barrels to our partners Lunazul Tequila in the village of Tequila in Jalisco, Mexico. 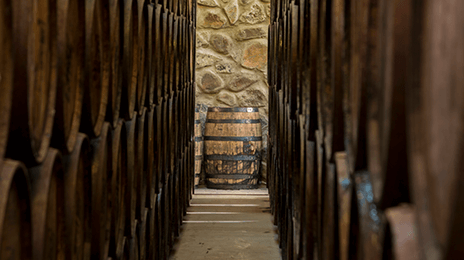 Their "Reposado" tequila ages in our barrels anywhere from two months to a year, while the extra-aged "Añejo" spends twelve or more months interacting with the wood. 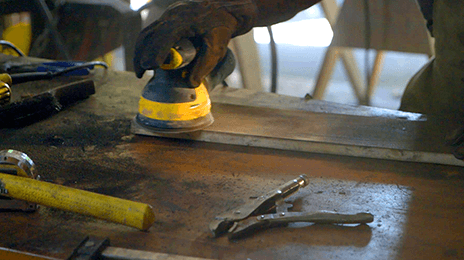 Just because there's a little char on our white oak doesn't mean it can't be used to create rock-solid furniture. Woodworkers love our barrel staves to add character when crafting unique statement pieces.